The Tata Tiago XTA variant has just been added to the Tiago petrol lineup. It's the most affordable AMT-equipped Tiago variant now, and is based on the Tiago XT variant. The Tiago XTA costs Rs 4.79 lakh (ex-showroom Delhi). It costs Rs 42,000 (approx.) more than the Tiago XT manual. The AMT-tech was previously available on the XZA variant only, which costs Rs 47,000 more than the newly launched XTA variant. Tiago with automated manual transmission (AMT) was introduced in India in March 2017. The AMT-equipped Tiago gets the same 1.2-litre, three-cylinder engine as the manual Tiago. The Tiago is offered in both diesel and petrol avatars. While both engines come with a 5-speed manual transmission as standard, only the petrol engine is available with a five-speed AMT. The diesel is a 1.05-litre unit (70PS/140Nm), while the petrol is a 1.2-litre engine (85PS/114Nm). The Tiago delivers a claimed mileage of 23.84kmpl and 27.28kmpl for the petrol and the diesel engine, respectively. 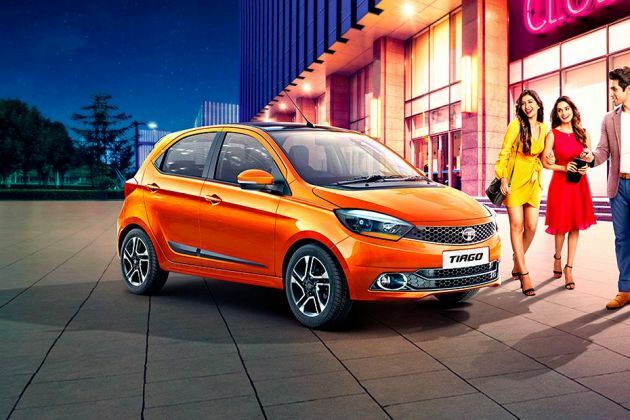 The Tiago XTA gets all the features that the Tiago XT gets. Tata offers an optional package on the Tiago XT which is still not available in the XTA variant. The optional package with the petrol-manual combination includes features like dual front airbags, seatbelt pretensioners with load limiters, 4 tweeters and height adjustable driver's seat. Buyers can opt for it at an additional cost of Rs 17,000.